This article is sponsored by Capital One. Let’s get one thing straight: I am not a baker. 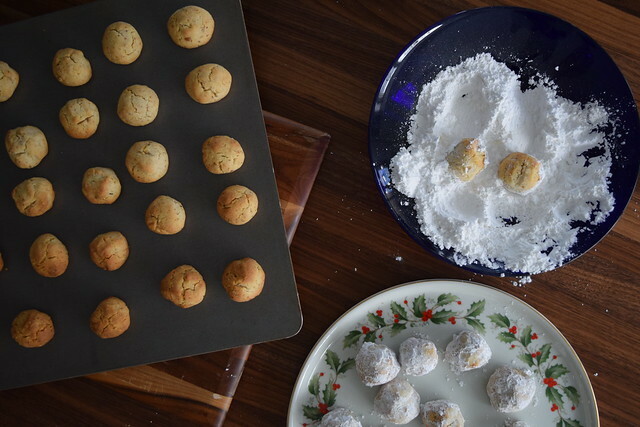 I usually pass on dessert and would rather spend my time in the kitchen throwing around olive oil and oregano than cleaning up rogue sprinkles and flimsy bags of flour (we still haven’t figured out a better way to package these things?). That said, some of my fondest memories as a child revolve around sugar. I couldn’t go to the movies without a bag of candy in tow; almost every soccer game ended with a post-game trip to our favorite hometown ice cream shop; and every year after Thanksgiving my mom morphed into an all-star baker, cranking out ten different varieties of homemade cookies yielding five dozen batches of each. For the month of December, no less than 500 cookies floated around our living room, dining room, and any place that was a flat surface until they were gifted to everyone from our teachers to the mailman, and served as a hostess gift at every holiday party in between. In fact, as a kid I remember we were barely allowed to actually eat any of them. It was one of those weird Italian idiosyncrasies, sort of like, we have a nice couch, but only guests can sit on it. I knew this tradition was special, genius really, but I don’t think I realized how much work, not to mention money spent on ingredients, went into the whole production. 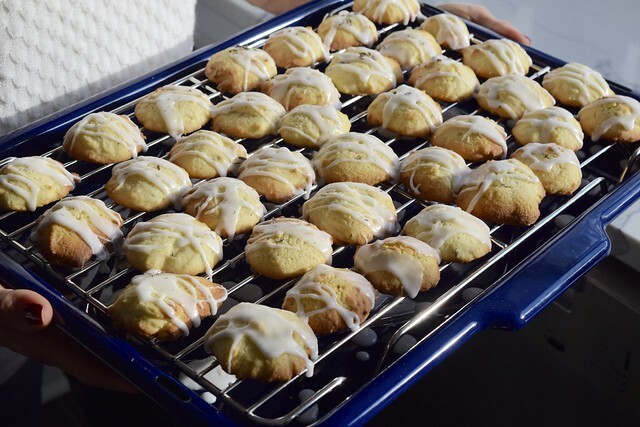 Our house would be bursting at the seams with the sweet aroma of melted butter from pignoli cookies, biscotti, thumbprints, snowdrops, peanut butter hats, lavender shortbread, struffoli (tiny balls of fried dough doused in honey), and angel slices, to name a few. Neighbors would flock to our home and came to anticipate our annual holiday cookie tradition. In our family, we were always taught that cooking is an act of love, so it made sense that the best way to spread holiday cheer was by gifting delicious homemade treats. The older I get the more I admire my mom’s dedication to our annual food traditions. Those moments in the kitchen licking a spoon, pretending to help bake, are memories I always become nostalgic for this time of the year. And while I may not be cranking out hundreds of cookies in my small one-bedroom apartment over the course of two days, I do try to carry on the essence of that generous spirit with my own creative take around the holidays. The main cost that kills my budget this month? Gifts for family and friends. Sorry that I have a weakness for spoiling my loved ones! I’ve certainly become more financially responsible (read: conscious of my spending habits) over the years, which has led me to the realization that gifting is never going to be a habit I can kick. And why should I stop spreading joy and love, especially around the holidays?! That being said, I can be more strategic with how I gift. For example, using a credit card that rewards you for your foodie lifestyle. The new Savor card from Capital One rewards you no matter where your day takes you. 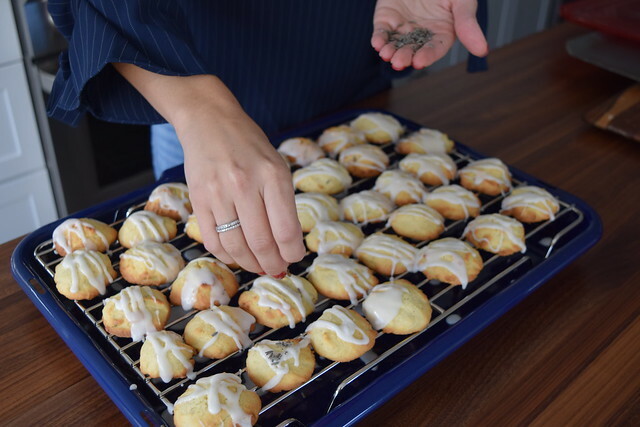 With 3 percent cash back on a fun night out at a new restaurant, to 2 percent cashback on purchasing all the ingredients I need to make holiday cookies for friends—lavender is not cheap!—your spending and ultimately gifting, is more rewarding. To inspire your holiday gifting, I’m sharing two fan-favorite cookie recipes from our family collection and fun ideas on how to package them for your loved ones this holiday season. Gift it! Bundle extra lavender buds in individual small sachets (great for deodorizing a car, gym bag, drawer, or office). Stack 3-4 cookies in a clear goodie bag. Cinch the bag closed with ribbon and a small lavender sachet. 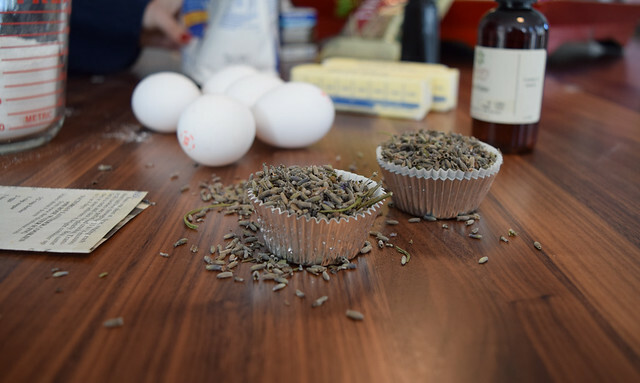 Add the eggs, lavender, flour, baking powder and salt. Drop by teaspoon full onto an ungreased cookie sheet. Bake for about 10 minutes until edges are dry and browned. While cookies bake, prepare the icing by mining the powdered sugar with water and rose water. 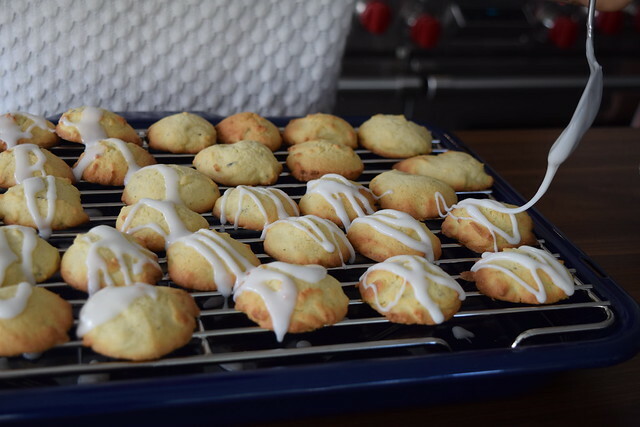 Drizzle over cookies after they have cooled. Let sit before packaging. Gift it! Since these babies are coated in powdered sugar, find a small, sturdy tin or mason jar and fill with 4-5 cookies, leaving some room to add sprigs of vanilla beans throughout. Wrap a cute gift tag around the lid. Cream butter, add sugar and vanilla. Add dry ingredients and nuts. Chill dough for 2-3 hours. Make teaspoon size balls out of the chilled dough place on an ungreased cookie sheet. Let cool then roll in sugar again (you want the exterior to be completely white).